Today Crocktober took a turn for the worse and a turn for the better! The weather outside was frightful, cue for a song, strong winds, torrential rain and so so dark. I battled my way into work against the elements, well between the house and the car and the car and the office at the other end. But I knew that inside my trusty tote bag was a a secret weapon...my Crock-pot Food Warmer. You just fill the Crock-pot Food Warmer with pre-cooked food, in my case soup, and plug it in two to three hours before you want to eat and it slowly warms your food. I have to say I was a little sceptical about the benefits of this gadget. It's quite bulky and wouldn't be so convenient if you had to commute by train or bus, the other thing is that we have a microwave in our kitchen at work, so I wondered if it would be worth carrying it in when I can easily heat my food in the microwave. However I was wrong, my cynicism was misplaced because, after two hours, the soup was at the perfect temperature with no hot or cold spots. There were no foodie smells escaping into the room either and the soup tasted much better than it usually does when I heat it in the microwave. 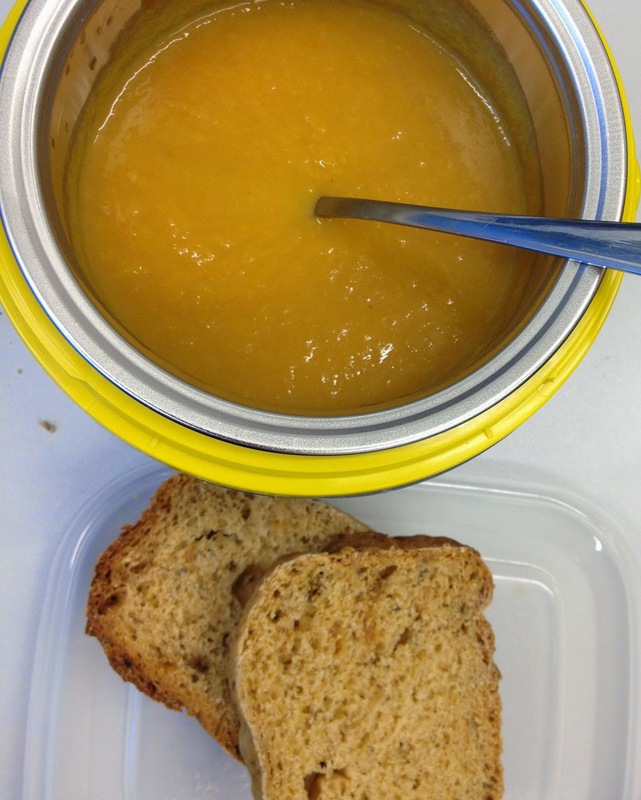 The home made Cream of Vegetable Soup (leeks, carrots, celery, stock and milk) was made in the Pressure Cooker but could have been made in the Crock-pot, it's just that it was busy cooking the bread that accompanied my soup. 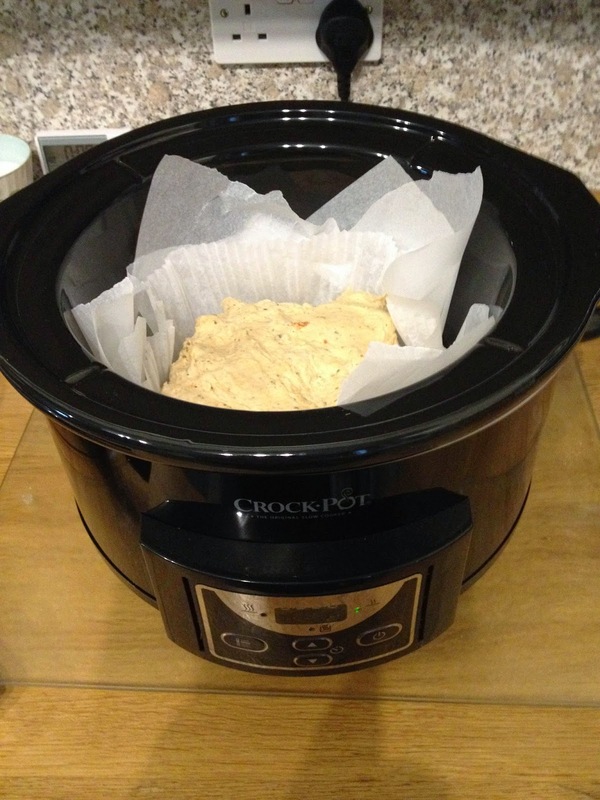 It was Lucy at Baking Queen 74 who put me on to baking bread in my Crock-pot. I started, as she did, with a Wrights Bread Mix, but having seen how well it worked I will be extending this to bread flour, yeast and water, it was just so easy, in many ways even easier than the bread machine and no mixy-pokey thing sticking into the bottom of the bread leaving a big hole when you take it out. After mixing and kneading, pop the dough into the Crock-pot, lined with baking parchment, on low for an hour to rise, then an hour and 45 minutes on high to bake the bread. 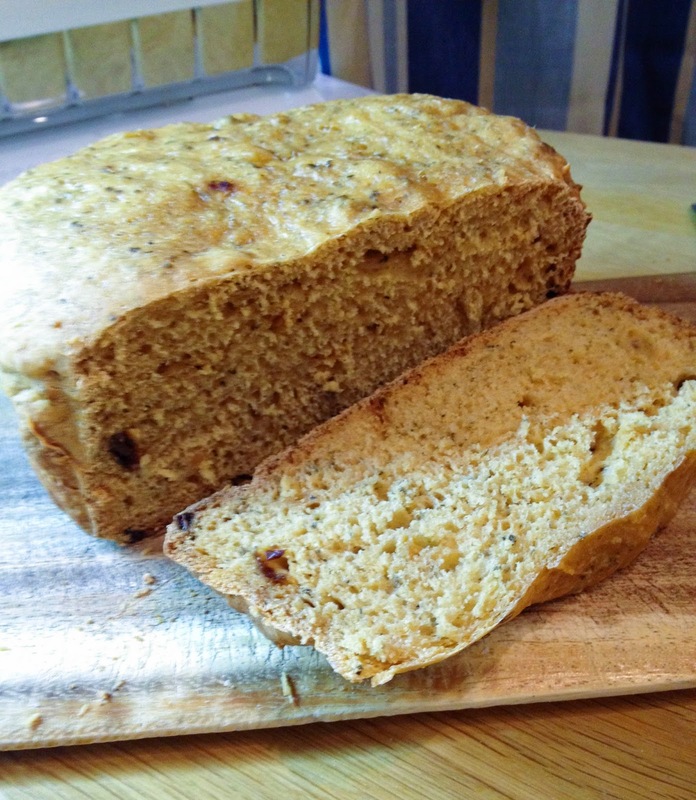 The bread isn't crisp on the outside, it's slightly steamed, but it was very tasty and went brilliantly with the vegetable soup. 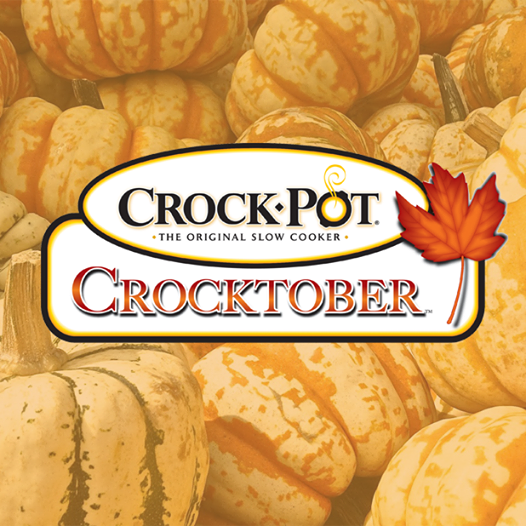 Thanks to Crock-pot for providing me with a Countdown Electronic Crock-pot and Crock-pot Food Warmer, I was not paid for this post and all opinions are my own.. Rattle those pots and pans!